On August 23, 2017, Brazil’s president Michel Temer issued a decree revoking the RENCA, an area the size of Switzerland in the Amazon. A firestorm of criticism in Brazil and abroad led Temer to “revoke” the decree on August 28th and replace it with a new one. On August 23, 2017, Brazil’s president Michel Temer issued a decree revoking the RENCA (National Reserve of Copper and Associated Minerals), an area the size of Switzerland on the northern side of the Amazon River straddling the states of Pará and Amapá. The Ministry of Environment had not been consulted and Brazil’s environmentalists and public were caught by surprise. Actually, in March the Temer administration had announced its intention of revoking the RENCA at a convention of mining companies in Canada. The choice of venue is telling. A firestorm of criticism in Brazil and abroad (see here, here, here, here and here) led Temer to “revoke” the decree on August 28th and replace it with a new one. However, this widely trumpeted “revocation” didn’t mean ceasing to abolish the reserve, as the new decree merely tacked on some language stating that protected areas and environmental regulations would be respected. Needless to say, these regulations were already in place, and the original decree implicitly assumed that they would remain so. On August 30th a federal judge issued a preliminary decision (liminar) suspending the decree and directed that the matter should be decided by the National Congress. However, the National Congress is presently dominated by representatives with a decidedly anti-environmental stance (see here, here and here). In addition, preliminary judicial decisions such as this are easily overruled by interested parties, such as the presidential administration, by seeking out friendly judges to issue a counter decision. This occurred many times when decisions halting construction of dams like Belo Monte were overturned within a few days. The Carajás Mine in Pará state is the largest iron ore mine in the world. Image from Google Earth. The RENCA was not created for conservation purposes, but rather as an act of Brazil’s 1964-1985 military dictatorship to preserve a strategic reserve of mineral deposits instead of allowing international mining companies to exhaust and export these deposits, as, for example, had happened with the manganese deposit elsewhere in Amapá. 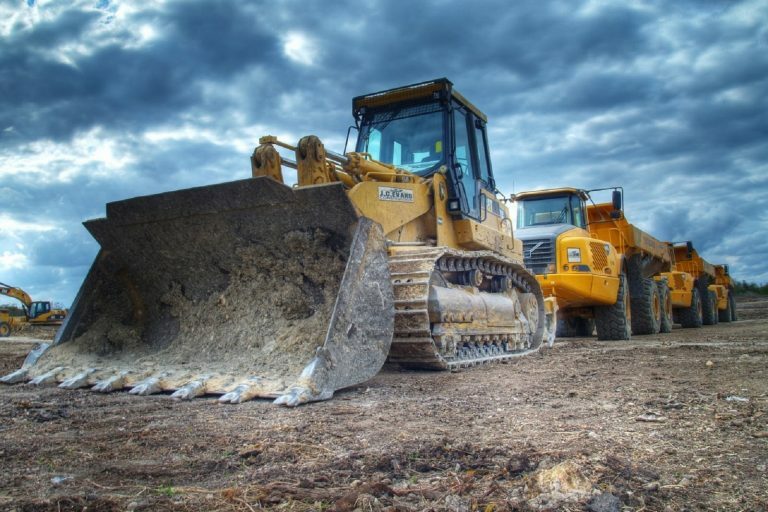 However, in practice, the RENCA’s prevention of large-scale mining has protected the environment in this vast area, both inside and outside of legally protected areas. In an editorial, the Folha de São Paulo newspaper considered the negative public-opinion reaction to be “exaggerated.” Although it is always possible to exaggerate environmental threats, and a few statements by politicians and others can best be interpreted as hyperbole, abolishing the RENCA is indeed a threat to the environment and to traditional peoples in this highly biodiverse and relatively undisturbed area. The RENCA contains nine protected areas. Three of these are of the “integral protection” type where mining is prohibited. Two are Indigenous Lands, which currently do not allow mining. However, a bill authored by the powerful senator Romero Jucá (whose family’s fortune stems from Amazon mining) is slowly advancing through the National Congress to open the indigenous lands for mining. The members of the congressional committee handling the bill have received large campaign contributions from Vale (formerly Companhia Vale do Rio Doce, or CVRD), a Brazilian mining company that is one of the largest in the world. The other four protected areas already allow mining so long as this provision is included in the management plan of the area in question. This, of course, can be always inserted in the plans by means of pressure on the relevant officials. Map by Instituto Socioambiental (ISA). Click image for source. Recent history, as in the case of the Jamanxim reserves on the BR-163 Highway, indicates a pattern of removing protection by changing the classification of all or parts of existing conservation units, for example converting them into toothless “environmental protection areas” (APAs), thus allowing mining and private properties with a right to deforestation (see here, here, here, here and here). 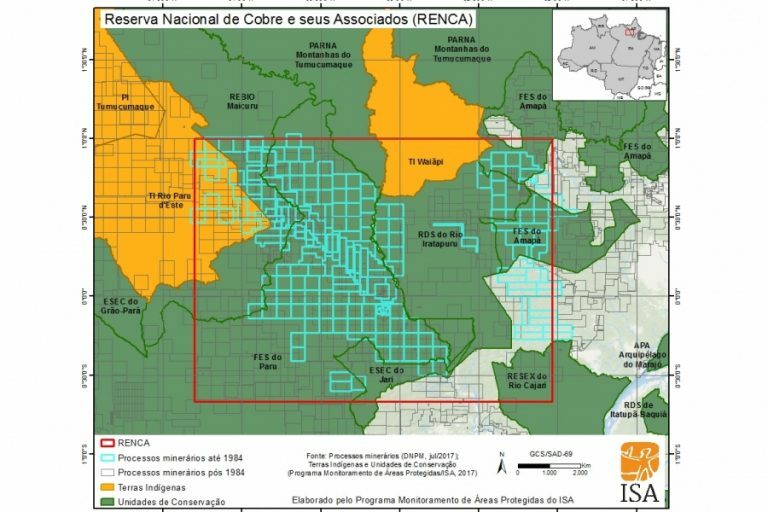 A proposal supported by president Temer to remove one million hectares from protected areas in southern Amazonas is coincident with a plethora of mining claims in these areas (see here, here, here, and here). Although much better than being unprotected, even protected areas where deforestation is prohibited are not immune to forest loss. The area deforested through 2014 in each protected area in Brazilian Amazonia is available here. Amapá is the least-deforested of the nine states that comprise Brazil’s Legal Amazon region. 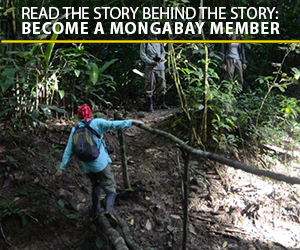 Currently the RENCA is mainly occupied by traditional and indigenous populations who clear little forest. Only 0.33% of the area has been cleared so far. 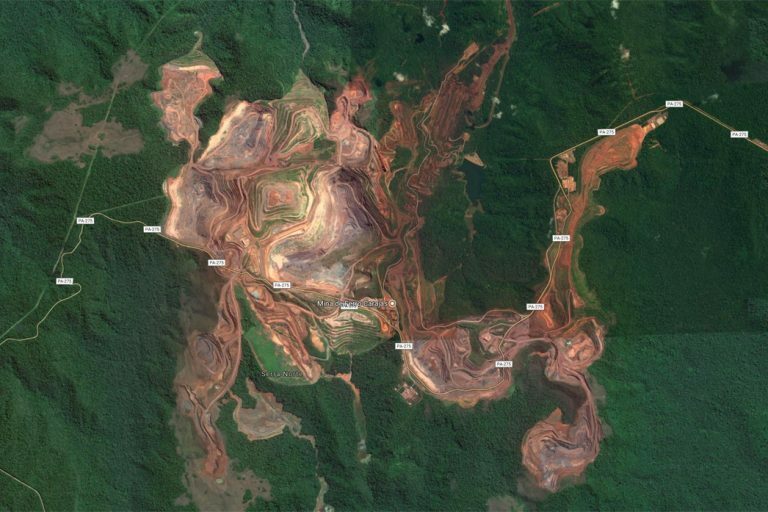 Like many parts of Amazonia, the area is subject to the ongoing impact of illegal wildcat goldminers (garimpeiros), but what changes with the dissolution of the RENCA is the prospect of large-scale industrial mining. When this begins, the picture for deforestation can be expected to change. With the opening of roads to each mining site, one can expect the process of invasion by land thieves (grileiros), ranchers (fazendeiros), individual squatters (posseiros) and organized landless farmers (sem-terras), leading to the process of deforestation that has been seen so many times in other parts of the Amazon. Even if mining is limited to the 30% of the RENCA that is outside of protected areas, these new actors would have impacts on the forest and on the traditional inhabitants. 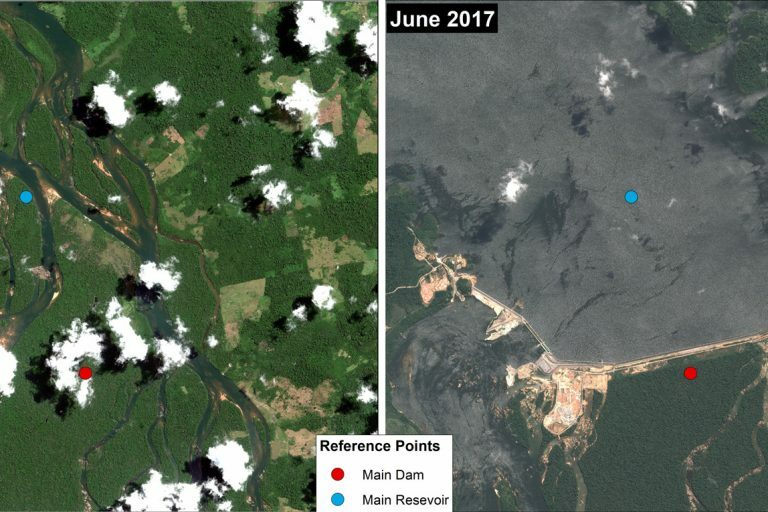 Aerial images produced by the MAAP Project showing before (July 2010) and after (June 2017) the construction of the Belo Monte dam on the Xingu River. Data: DigitalGlobe (via ACT), Airbus (via Apollo Mapping). The presumption that what is forbidden by Brazil’s laws or by the constitution will simply not happen in real life is very naïve. After all, the Belo Monte Dam was well described by the Federal Public Ministry (public prosecutors charged with defending the people’s interests) in Belém as “totally illegal,” but it now stands on the Xingu River as a concrete fact (see here and here). The Canadian mining firms that the Temer administration has invited to the area are of sufficient size to change history in their favor. An illustration of the danger for the RENCA is provided by the November 2015 Mariana disaster in the state of Minas Gerais (see here, here, here and here). In this case a mine-tailings dam broke, destroying a downstream town, killing 19 people and wiping out most aquatic life in the Rio Doce – one of Brazil’s great rivers. That Vale could cause a disaster of this magnitude and get away with it unpunished (see here, here, here and here), suggests that companies this big are more powerful than any agency in the Brazilian government.